PALM HARBOR, Fla. -- It's all in your head. Director of Golf Instruction Dawn Mercer has taught thousands of guests at Innisbrook. So says Dawn Mercer, the director of golf instruction at Innisbrook Golf & Spa Resort. You can take all the instruction, read all the books and magazines, watch all of the instructional videos, but if you aren't shooting the score you want, the only way to find the answers it to look inside the mind of the best instructor in golf -- yourself. "Your cure is within you," said Mercer, who has been at Innisbrook for a quarter century. "Talent comes from within and we all have it. You can do everything you want to be a better golfer, but at the end of the day, it is all between the ears." Innisbrook, located about a half-hour from downtown Tampa, has four championship courses, including the Copperhead, which hosts the annual PGA Tour's Transitions Championship. 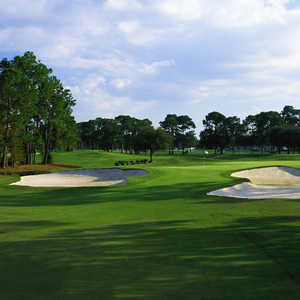 The courses are special, but the resort is a standalone in the Tampa Bay area. The accommodations are arranged in a cluster of low-rise buildings that take up more than 900 acres but still allow for an intimate setting. Suites range from one to three bedrooms, and there are six dining facilities and plenty of pools and other recreation activities. 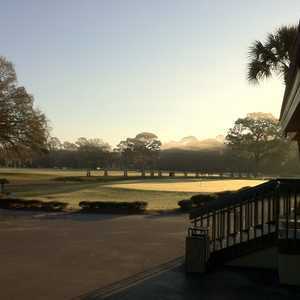 That makes the visit worthwhile for the entire family while the golfer is taking lessons or playing one of the courses. For the golfer, just taking lessons is worth the trip. Mercer has dealt with thousands of guests at Innisbrook and said she has a specific program customized for each one. Mercer said that the trends in teaching have changed over the years, but the principals are mostly the same. "Even though the goals have changed and things are now being taught to be more precise than before, it's all the same," Mercer said. "It's all mental. It's about changing what you don't like into changing into things you know you can do. You have to visualize. In golf, you usually have a 50-50 chance to be happy with your result." Banging balls all day in the driving range is not Mercer's way of teaching. "It all comes down to putting," she said. "You need a short game and a good putting game. Strength doesn't matter. You need to work on the things you don't like to work on. You can be a jack of all trades, or master of nothing." Kids who come to the Innisbrook Academy might have the wrong idea if they want to learn to bomb the ball like Bubba Watson. Mercer said she sees many players who simply think hitting the ball a long way is fun -- and the key to success -- but she stresses the basics, whether it is with kids or adults. Making sure the player has a custom-fit club and a correct, loose grip are key, not the distance. "I had a lady come in here and she was strangling her club with her grip," Mercer said. "She couldn't feel the club head because her clubs weren't fit for her. You can fix fundamentals, but you have so many other variables that are involved." Mercer emphasizes fitness programs, which are plentiful at the Innisbrook Resort. Indaba, Innisbrook's 20,000-square-foot spa, salon and fitness facility, is right in the middle of a nature preserve, so everyone can enjoy working out or simply relaxing. It's a great environment, whether they are visiting for golf or to simply enjoying the amenities. The spa offers personalized holistic treatment and wellness programs. And, for a break from golf, there is also a tennis and racquetball center. 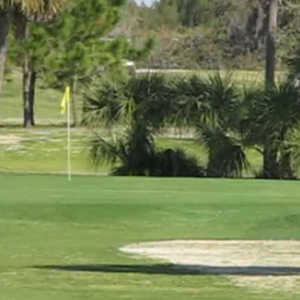 With its proximity to many of the Tampa Bay area's best golf courses, not to mention its own four championship courses, Innisbrook offers great golf instruction to go along with great facilities and plenty of reasons that have people coming back for more.